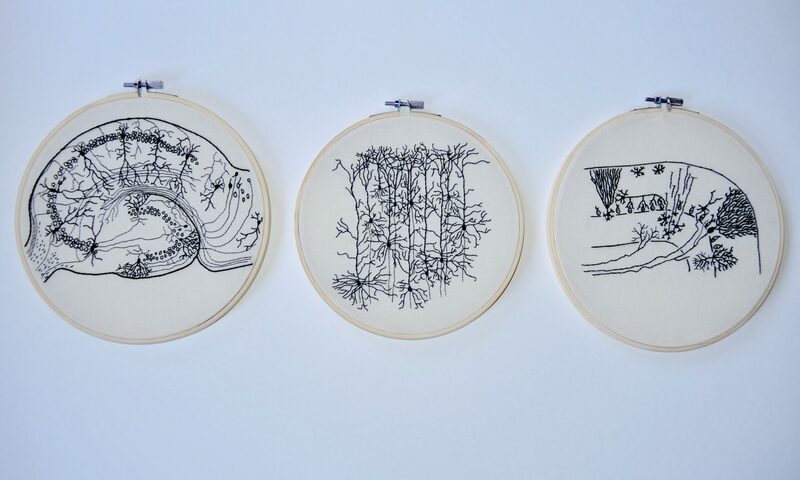 In 2018, I began embroidering as a form of stress relief. I originally focused on southwestern and asian art influences while dabbling in science art. 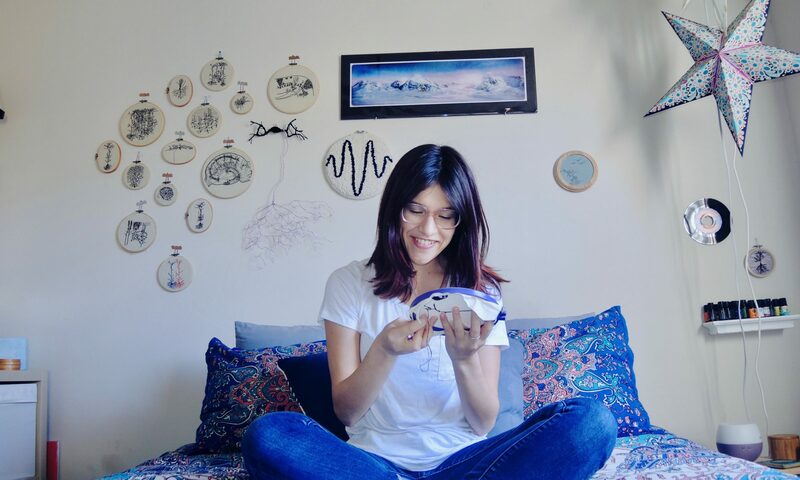 The first neuron piece I embroidered was based off of a Ramon y Cajal drawing of the cerebellar microcircuit and I’ve been enraptured with capturing the beauty of neuronal diversity ever since. I now implement metallic elements and watercolor into my neuron reconstruction embroidery art as a dynamic exhibition of the flow of activity in the brain. You can support my art by buying me a ‘Ko-fi’. This is a small, single $3 donation (the price of a cup of coffee!) that will help me continue to make original fiber art!